Walnut cutting board with an inlay of yellowheart wood. Beautiful figure. 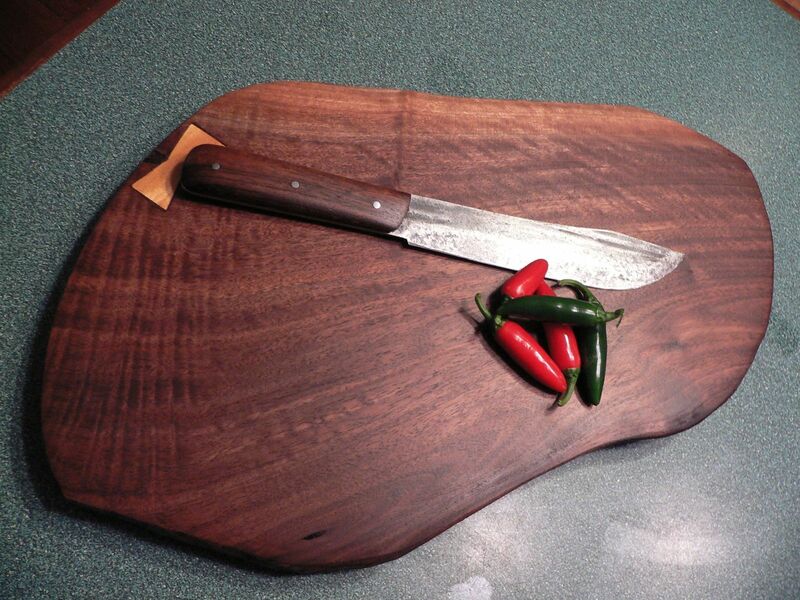 The included knife is reconditioned, sharpened, and re-handled with the same walnut.